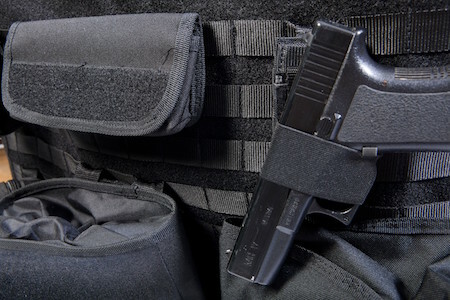 Pouches for the military style MOLLE (Modular Lightweight Load-carrying Equipment) system that conveniently fits on the back-side of Coverking Tactical custom seat covers. With the unique 6 pouch MOLLE system, you can store your camp gear, fishing gear or other tools. 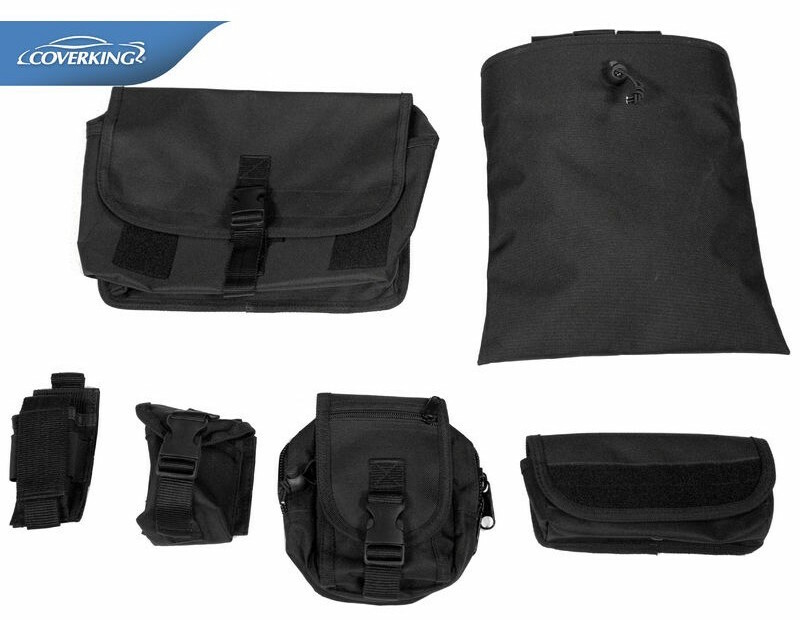 The use of MOLLE systems was pioneered by the military and incorporated in the Coverking tactical seat cover design. 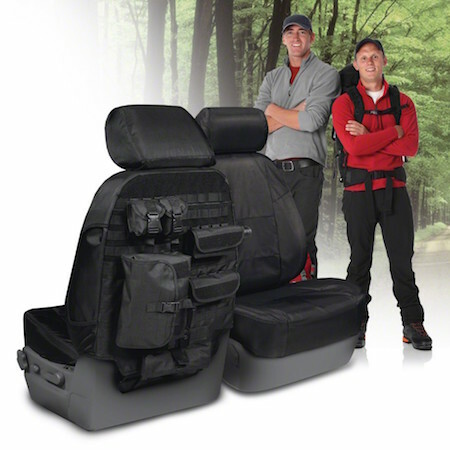 Now you can have the right equipment with you in your vehicle at all times.